The awards ceremony will be held during a gala dinner on Thursday, September 12, 2019 at 583 Park Avenue, New York. This award is designed to reward tax advisory professionals that have demonstrated expertise and top-class client services standards in their provision of tax advice to the hedge fund community over the past 12 months. Success in this category depends on a mixture of demonstrating customer and revenue growth, as well as detailing how new initiatives, products or services have aided the business and helped their clients deal with regulatory changes over the past 12 months. This award is designed to reward firms offering specialist shadow accounting services to hedge funds that have delivered across the board through business/client growth, innovation and client servicing over the past 12 months. Success in this category depends on a mixture of client and revenue growth, new products, tools or brand developments that demonstrated new thinking and have been well received by the sector and top-class client service standards. This award is designed to reward firms which have excelled in the provision of outsourced finance and operations support to the hedge fund sector. This can include outsourced COO or CFO services for start-ups and emerging managers or wider support for larger firms. Success in this category depends on demonstrating both customer and revenue growth, a deep and knowledge support team and detailing examples of how the service has been able to benefit hedge fund clients in terms of supporting their operations and/or finance functions and facilitating business growth. This award rewards firms which have demonstrated a consistently high standard in providing onshore legal services to the hedge fund sector. Success in this category depends on a mixture of client and revenue growth, new products, tools or brand developments that demonstrated new thinking or have responded to regulatory changes and have been well received by the sector and top-class client service standards. This award rewards smaller law firms which have demonstrated a consistently high standard in providing legal services to smaller and emerging hedge fund managers. Success in this category depends on a mixture of client and revenue growth, new products, tools or brand developments targeting at smaller managers which have demonstrated new thinking or have responded to regulatory changes and have been well received by the sector and top-class client service standards. This award is designed to reward prime brokers that have shown excellence and innovation in their use of technology to serve their hedge fund clients. Success in this category depends on providing examples of how new products, and/or the use of technology internally, have contributed to the growth of the firm and improved the client experience for hedge funds. This award is designed to recognise the technology providers who go that extra mile to support emerging managers. Success in this category depends on a mixture of client and revenue growth in the small manager/start-up space, innovative products, tools or services targeted at this part of the market and top-quality levels of client service, demonstrated by glowing testimonials from emerging managers. When entering the 2019 Awards, please read through the following criteria for your chosen category (ies), which explain what the judging panel will be looking for when they judge the entries and select the winners. Please focus your entry on the specific requirements of the award and take the opportunity in your first answer to succinctly set-up your achievements over the past year that are directly relevant to the award. All entry forms should be submitted by the final deadline on June 15, 2019. The awards will be publicised in HFMWeek’s magazine and website. All awards finallists will be honoured — and the winners announced at a dinner on September 12, 2019. The judging process is rigorous and thorough to ensure all entries receive full consideration and that excellence in each of the categories is truly rewarded. A diverse panel of leading hedge fund COOs, CFOs, CCOs, GCs and CTOs will make up the judging committee with the judges then split into groups depending on their specialist expertise. Each group judges a maximum of five awards. The judges will use the entries submitted and any knowledge and experience they have with the relevant firms to come to their decisions and will score the firms based on the criteria set out alongside each award. Our 20-strong judging panel represents over $250bn of hedge fund assets. To add extra scrutiny to the process we are inviting shortlisted candidates for the top awards to attend a judging day where they can pitch themselves to a selection of the judging panel. Details of the judging day will be announced shortly. Once the shortlist is announced we will be in touch with shortlisted firms with an invitation to attend. Candidates can appear in person or over Skype to address the judges in 10-minute slots. If the firm is unavailable to attend the judging morning the judges will rely solely on your submission but we advise that this could negatively impact your chances of winning. Please add the date to your diary. PLEASE NOTE: Judges are obliged to declare that they have no conflicts of interest prior to judging and sign NDAs to ensure that all information submitted as part of the judging remains private. 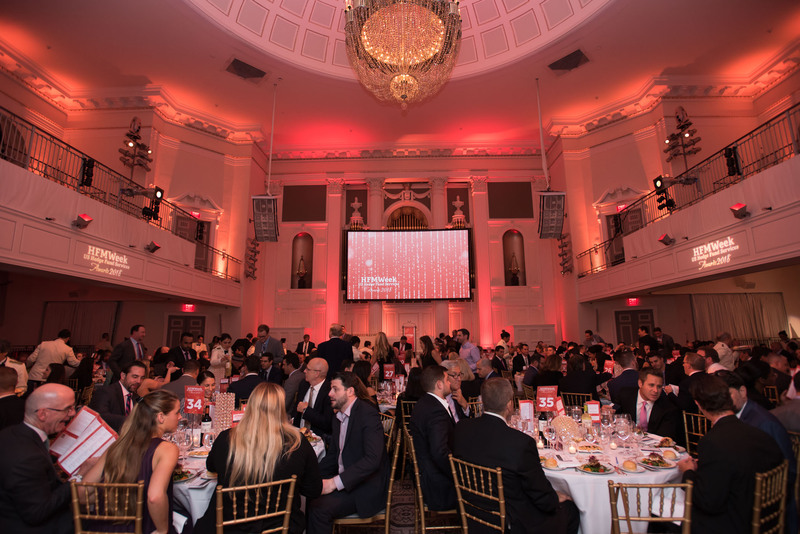 The HFM US Hedge Fund Services Awards 2018 will take place in New York on Thursday September 12, 2019 at 583 Park Avenue. Ticket prices for the 2019 Awards include a table of 10 seats at the ceremony, drinks reception and three-course dinner. If you are interested in attending the awards ceremony, please contact: Tara Nolan at t.nolan@hfmweek.com or telephone +1 646 335 3438. To find out more about sponsoring the 2019 Awards, please contact: Tara Nolan at t.nolan@hfmweek.com or telephone +1 646 335 3438. Best onshore law firm - hedge fund start-ups Kleinberg, Kaplan, Wolff & Cohen, P.C.